Do I have to come to the field to complete my registration? It's after August 1 and my child has not been called. What do I do? 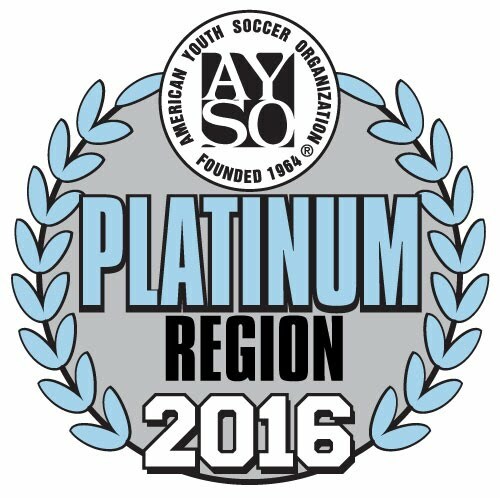 Volunteers - AYSO is a volunteer organization with more than 220,000 parents and friends working as coaches, referees and administrators. It's not unusual to find two, three or more children in the same family playing AYSO soccer - while Dad serves as referee and Mom as coach. Coaches, referees, a registrar, a fundraiser, a field marker, a publicist, a treasurer - many people, all contributing their time and efforts to make AYSO a great program for our soccer-playing kids. Visit our Region'sBoard Member page for a list of parent volunteers. Soccer ball purchase guide: Size 3 for U4 thru U8. Size 4 for U10 and U12, Size 5 for U14 and older. Write your child's name on their soccer ball. We expect that all parents will volunteer in some role. We are an all volunteer organization. There is something for everyone to do. Our work is performed by parents. If parents do not volunteer, we cannot have soccer. If we don’t have coaches, we cannot form a team. Without referees, we cannot play. Goals have to be setup and the field needs to be lined. Every aspect of our soccer program is done by parent volunteers. Our region commissioner, coaches, referees, team parent, field crew, and webmaster are all volunteers. No prior experience is required for any of our volunteer positions. We will provide you with all the training and tools for your chosen volunteer position. Fall Season: Beginning August 1, parents will be contacted. U10 –U12 players will be called to participate in player evaluation for team balancing. The coaches will call the players beginning August 22. They will give you all the information you will need in regards to practice times. Teams may begin practice 2-3 weeks before the official season start. The coaches will call the players/parents. They will give you all the information you will need in regards to practice times and location. U4 & U5 play between 8:45a - 9:45a. Practice day and time is set by the teams. Once coaches are notified of their team, they will contact the parents to setup the first team meeting. Teams agree on a practice day/time and request field space. All practices are at Kenneth Hahn. Practices are held in the evening. The younger age (U5-U10) group will practice in the early part of the evening; 5:00pm - 7:00pm (1 hour duration). Coaches should expect to receive their team rosters by 8/19/13. Coaches will then contact their parents to setup their initial team meeting. It depends. We consider request for players U5-U8. However, we must also consider a balanced team. We do not accept request for players to be placed with a specific coach. For U10 – U19 divisions, we do not accept requests. For these divisions, only siblings (same household) can be on the same team.